Photograph This! : Just Shirts. But. This is my favorite still image from a shoot I did for a fashion company that designs, you probably guessed it, shirts. The most fun part of the shoot was deciding how the shirts should look like, or, better, what should the viewer feel. And who is going to be the viewer? The target customer of the company a +40, married, reasonably wealthy, married guy? One never really sells a shirt. And a shirt is a shirt is a shirt...so we thought that the buyer (most likely his wife or so the marketing research offered) would rather imagine her partner doing cool things rather than being at the office. The look and palette came together shortly after that: a bit of americana, warm colors, old wood, a truck parked somewhere. Yes the shirts have to 'feel' more than just 'look' nice. This is the final result, or..the final result I liked the most, but not the one that made it to the final campaign. Oh well! But how did I get the shot? $20 worth of wood panels painted to make the wood darker, a softbox with extra diffusion from an opaque plexi panel low and inclined behind the shirts (the bottom of the box was flagged) ringflash on camera and two super thin strip lights on the sides. Shot from above. The most important thing? 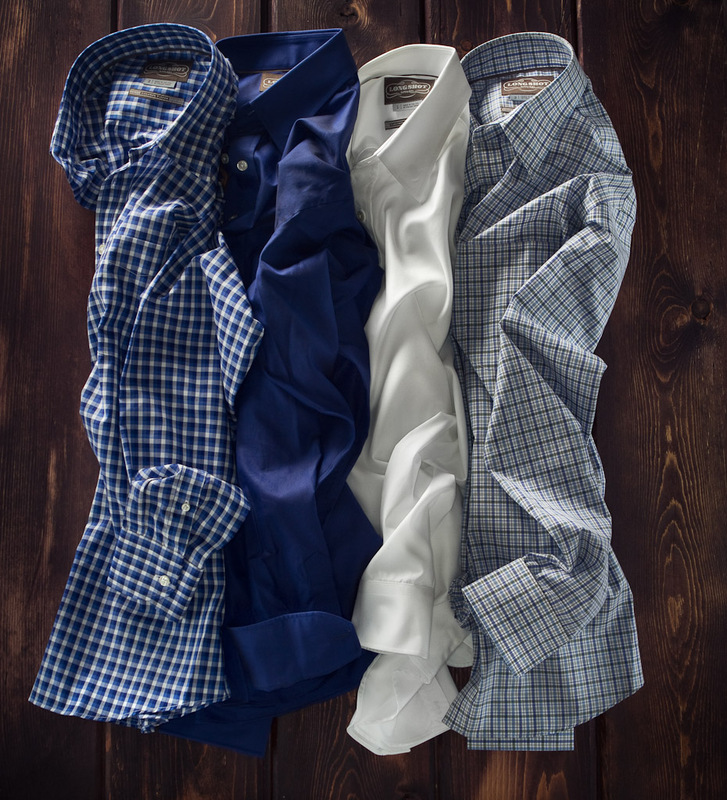 The styling of the shirts done by the always impeccably perfect Kimberly Swedelius. Oh yes, remember to copyright your images once you are done with the shoot. Just saying.